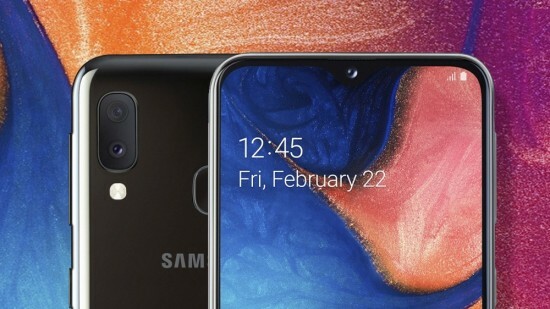 Samsung has launched the smaller version of Samsung A20e at ‘A Galaxy event’ in Milan, and people call it ‘A20s petite twin’. Samsung A20e with Infinity-V Display and Dual Cameras. This smart phone has the features to fit the small casing and it has lower price tag. The smart phone is going to release as the budget friendly mobile phone. The smart phone, Samsung Galaxy A20e is added with small 5.8 inch TFT display and it has V-notch on the upper edge to give infinity-V moniker. This smart phone is provided in the market in black and white colors. The back of the mobile phone has sleek glossy design with dual camera, which is arranged on top left and fingerprint sensor is provided in the middle. The smart phone is powered by Lassen P+ octa core processor on Exynos 7884 chipset. This smart phone has the features of 3 GB RAM with 32 GB built-in storage capacity, which can be extended up to 512 GB by the addition of microSD card in its card slot. This mobile phone runs on Android 9.0 Pie and One UI of Samsung. 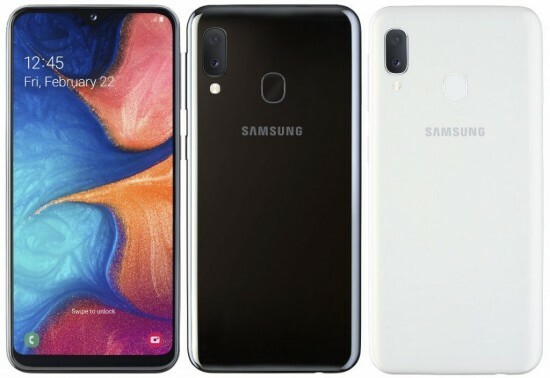 Samsung Galaxy A20e is provided in the market with dual sensor rear camera and it has selfie sensor on the front side. The rear camera of the mobile phone is great with 13 MP main sensor and 5 MP ultrawide sensor. The selfie camera has 8 MP imaging capacity. A20e is the smaller version and it is provided with downgraded battery of 3000 mAh. The price of the handset is not confirmed but it is expected that the price of this mobile phone will be in between Rs.25,000 to 27,000.